Home > Educational Materials > Chemistry Educational Materials > Applied Chemistry Learning Activities > Ward's® AP Chemistry Investigation 12: Calorimetry: How Does a Hand Warmer Work? Ward's® AP Chemistry Investigation 12: Calorimetry: How Does a Hand Warmer Work? In this lab, thermochemistry will be explored, as students conceptualize the chemistry of a hand warmer that is safe, cost effective, eco-friendly, and performs well. Students will use calorimetry to study the heat flow and enthalpy of dissolution of various aqueous solutions, and will therefore be required to set up a calorimeter and calculate changes in temperature, heat transfer, and the enthalpy of dissolution. The investigation begins as students study the heat flow of an aqueous solution of the ionic compound magnesium sulfate. Students will then study the heat flow of a variety of other ionic compounds and will determine the enthalpy of dissolution for these processes. The information learned from these studies will ultimately be used to determine which ionic solid would be best to use in the design of a hand warmer. Includes anhydrous calcium chloride, sodium chloride, anhydrous sodium carbonate, anhydrous magnesium sulfate, ammonium chloride, and lithium chloride. Requires a thermometer, analytical balance, magnetic stirrer, magnetic stir rod, coffee cups with lids, and hotplates, available separately. 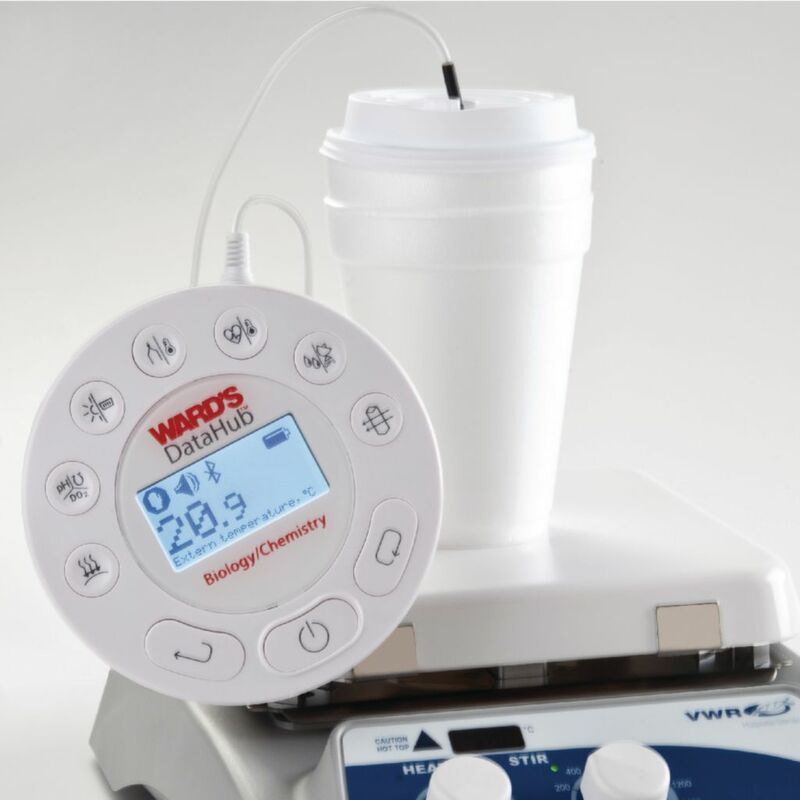 Ward's® DataHub not required to complete activity. Ordering information: Activity includes Anhydrous Calcium Chloride, Anhydrous Sodium Carbonate, Lithium Chloride, Ammonium Chloride, Sodium Chloride, and Anhydrous Magnesium Sulfate. Materials required but not provided are DI Water, Thermometers, Analytical Balances, Graduated Cylinders, Scoops, Weighing Boats, Polystyrene Cups with Lids, Magnetic Stirrers with Stir Bars, Hot Plates, Beakers, Ring Stands/Clamps (optional), Gloves, Safety Goggles, and Lab Aprons.